Where are my Northeast Runners?! Unlike recent winters where it’s been easy to take a workout or two inside, or gear up for a quick jaunt outside, it feels like Mother Nature has worked against us this year; we’ve been betrayed. While the sights have been stunning, the cold and the lack of road sides/sidewalks have been…well, interesting. With news of a new potential monster storm coming our way tomorrow night, I thought I’d use Fit Tip Tuesday to talk about running through it and surviving winter as a runner (note: my countdown to spring has started!). Check out some of the ideas below and share your own! Duh. If you’re cold – i.e. freezing – your performance will suffer and you’ll wind up miserable. Without the right gear, staying comfortable outside isn’t possible. Dress as though it’s 10 degrees hotter than it is, and get moving. Some of my favorites? The Northface: The Northface takes the cake for hats, running gloves and headbands. 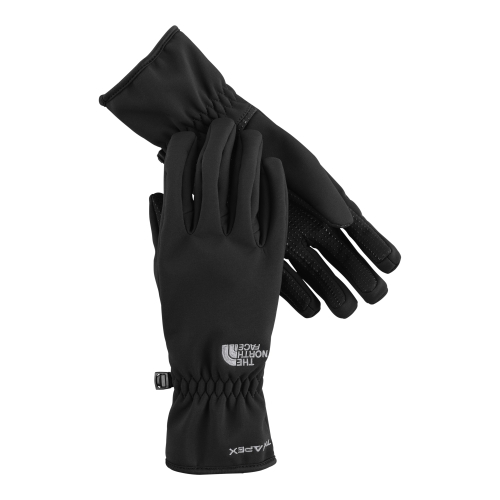 If your hands or ears are cold, forget about performance. I also stock up on single use handwarmers to keep inside my gloves, that warmth can go a long way. Feetures! : The importance of good, cushioned, warm socks that pull moisture away from your feet cannot be understated! I’m a firm supporter of Feetures! 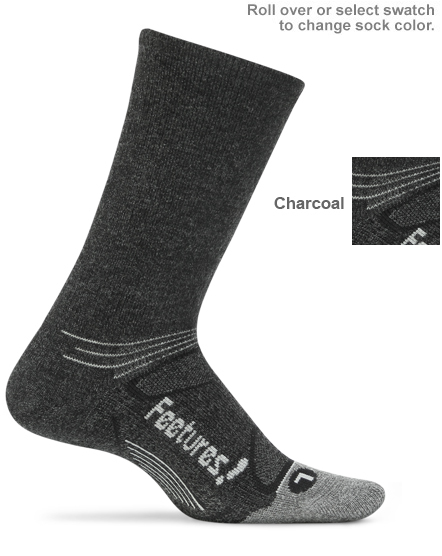 brand’s Elite Merino socks that do a little more than standard ankle socks. We’ve all heard the stat that running is only 10 percent physical, it’s 90 percent mental. This is super important when it feels like the arctic landed right outside your front door. Think warm, play warm music (I love some reggae when the weather drops below 35!). Tell yourself that you’re warm and concentrate on the beauty that surrounds you instead of your frozen (but not if they’re in the right socks!) toes. A little mental toughness can go a long way. Whether you travel the same running route day after day or mix it up, if you don’t know how it made out after the last storm, there can be unfortunate consequences. It’s an extra step, but taking the time to drive your route before running will alert you to any problems and allow you to map out a detour in advance. Make sure there’s adequate room on the side of the road that hasn’t been hindered by snow or ice drifts, check out sidewalk conditions and be sure you’re prepared well before you take the first step. I’m a huge advocate of always running with a cell phone. Sure, it can be cumbersome. But, it can also be a lifesaver: women, this is especially true for us. Be sure you can call for help and that someone is on standby…every minute counts when it’s freezing outside. Be safe. There’s nothing better than an early morning run, or an evening jaunt to clear away the stress of the day, but, when conditions aren’t perfect, it’s probably a bad idea. When drivers are trying to focus on the roads, you’re an afterthought. Practice caution by running in daylight, in bright colors. Sure, no one wants to put all their miles in on the “dreadmill,” but, sometimes it’s just the better thing to do. Look for treadmill workouts to mix up your routine and to make the time pass faster. Find a great movie to enjoy during the run and think about how nice it is to not be freezing. It doesn’t have to be an everyday thing, but, if there’s a blizzard inside, the treadmill is still an excellent alternative. There’s no one more ready for 80+ degree temperatures, but, we’ve got to find a way to get through, improve performances and, most importantly, stay safe in the meantime. What’s your go-to tip for running in less-than-perfect conditions? MAJOR PROPS to you for running outside in that kind of weather! I live in California and still don’t make it outdoors for a run in the winter time. You GO girl! Thank you! I get so bored inside…so I try whatever I can to get out there! Jealous of Cali!! Really awesome tips!!! You’re so brave for working out in the NE cold right now!! I love the cell phone tip too — so true. Also, as a woman, running at night is definitely a no-go. Thanks so much for linking up! For next time, don’t forget to add the button! 🙂 Excited for you to join in next week!! Great tips! I have used music to help me through these cold runs– it’s amazing how much I forget about the temperature once I get a good playlist going! But… I am ready for spring!